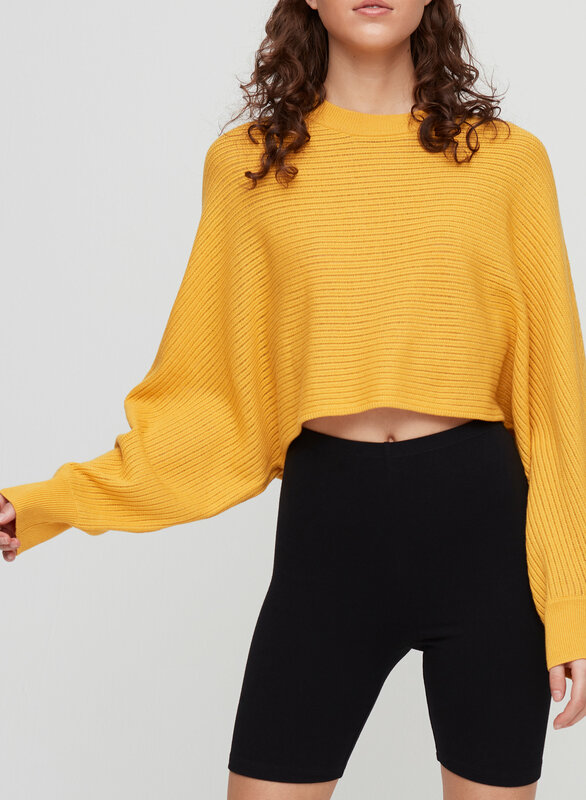 When you want a sweater that's all the things. 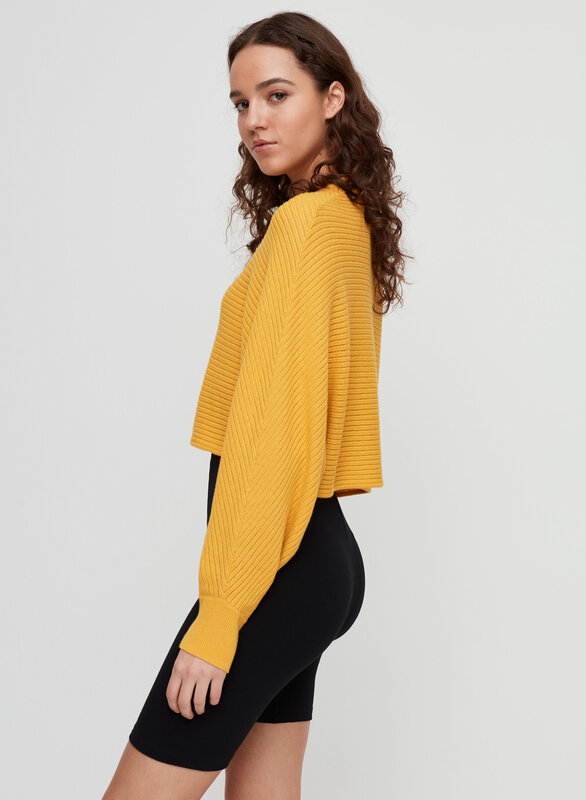 This is a cropped long sleeve sweater with extra volume in the body. It's knit from a lightweight wool-linen blend. Looks great when you're walking around, but the moment you lift your arms up in any manner (for example, reaching up to grab something on a shelf) your entire belly and chest will show! 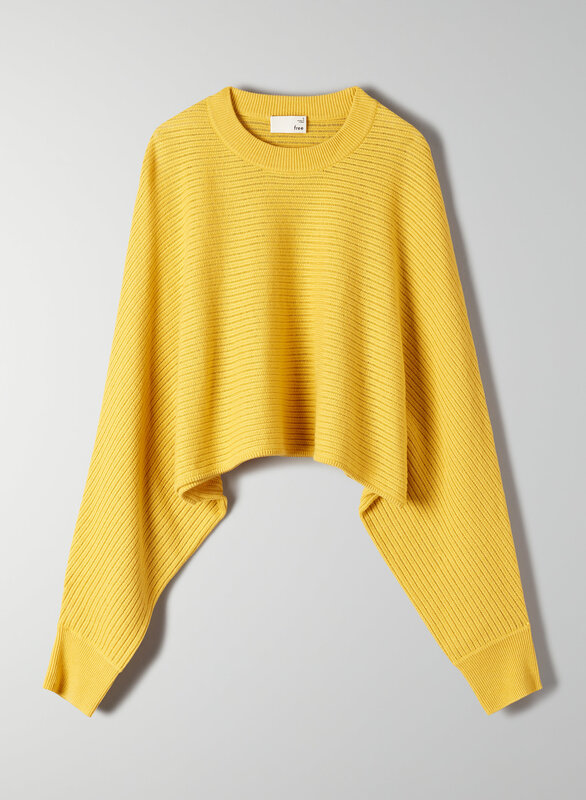 It also doesn't fit nicely under fitted jackets due to the batwing sleeve, so wear something loose overtop. 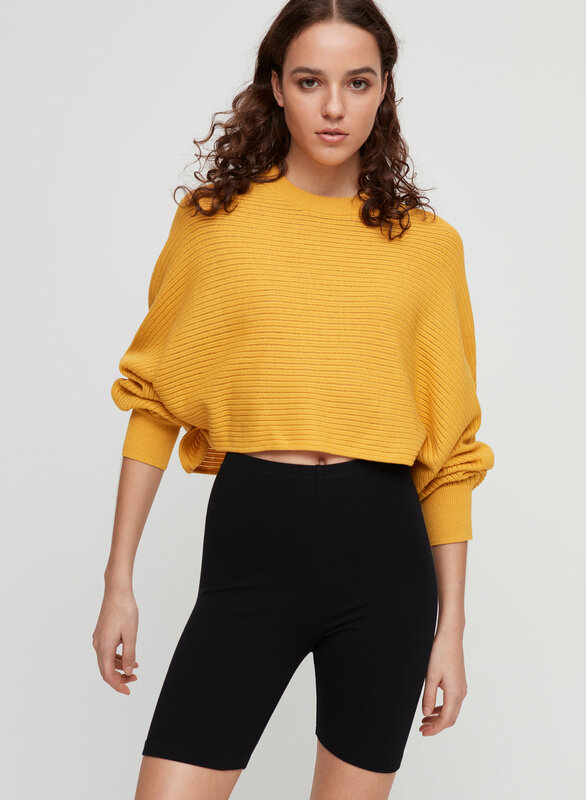 I, for one, love a winter crop top.